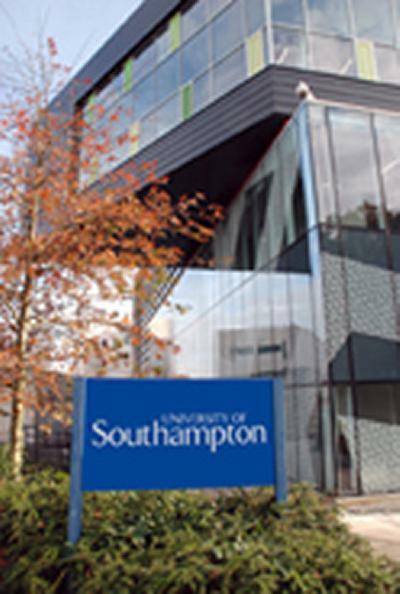 The University of Southampton has continued its run of excellent performances in UK university league tables after climbing two places in the Good University Guide 2016. Published by The Times and The Sunday Times, the Guide reveals that Southampton has risen two places to 16 overall and climbed to 11 amongst the 24 members of the Russell Group of research-intensive universities. The University is also well-placed in a number of the Guide’s subject rankings, most notably the table for Physiotherapy where Southampton climbs 31 places over last year in that subject area. The success follows a period when 100% of the University’s research in Health Sciences was rated 4* for impact in the 2014 Research Excellence Framework gaining the highest possible score for both reach and significance, and ranking first for quality and impact. The Physiotherapy programme also experienced a rise in student satisfaction following the results of this year’s National Student Survey (NSS). “We’re very pleased to be ranked first in the UK for Physiotherapy which clearly reflects the success of our integrated research-led education programmes and exceptional student experience which brings together world leading experts in physiotherapy education, research and clinical practice and our commitment to maintaining education excellence,” said Professor Dame Jessica Corner, Dean of Health Sciences. “We’ve had a particularly strong year for research following our success in the REF which, combined with our success in the NSS, has catapulted us to the very top,” she continued. In addition to Physiotherapy, Southampton has also made sizeable improvements in Subjects Allied to Medicine, rising from 27 to 10, and Art & Design where the University rose from 26 to 11. Other areas where Southampton ranks amongst the top five include Electrical & Electronic Engineering and German (both third); Civil Engineering (fourth); and Aeronautical & Manufacturing Engineering and French (both fifth). The University features in the top 10 for Music (sixth); Communications & Media and Computer Science (both ninth); and Archaeology, Education, Geology, Iberian Languages, and Mechanical Engineering (tenth).